14752 - 14836 Beach Blvd. 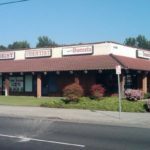 Retail space facing Beach Blvd. Available retail unit, mixed shopping center with office buildings. Corner of Beach and Rosecrans. CAM Fee's are approximately $0.39 per square foot.